Articles › Smartwatches and privacy – contradiction in terms? Gadgetbridge: Communicate with your Pebble/Miband privately without putting your data into the cloud! In my blog series Android without Google I´ve already talked about privacy concerns: one big company collecting that much data about what I read and do, where I am at what time, whom I connected with, whom I call how often, what my WiFi passwords are, and so on, can make people paranoid (though that´s called „informed“ nowadays) – or completely ignorant. I obviously belong to the former group, as one can easily tell not only by the articles on this site. 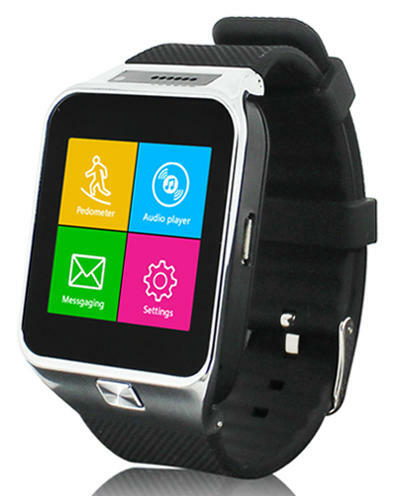 So should someone like me even toy with the idea of using a smartwatch? Wouldn´t that just feed that paranoia? What choices are out there? Android Wear: Very close to Android, as the name suggests. Well supported with many apps and more. Usually coming with a touch screen – and a battery that barely lasts a day. So one more gadget that you´ve got to put on the charger each night (or before). Tizen: Several of Samsung´s devices use that system. Not only smart watches, but also phones. Nucleus RTOS: Used by many MTK based devices. Usually come at a decent price, featuring a touch screen and a short-lived battery. Pebble OS: Well, does that need an explanation? OK, it´s based on a FreeRTOS kernel. And the watches don´t have a touch screen (usually they come with four buttons) – but a battery lasting seven days and more. Okay, there are also watches running Android. And there are the Apple watches. Plus there´s WatchOS, and most likely there are several more. I don´t know them all, and I can´t name them all. I definitely can´t test them all (and be it just for the prices). So lets leave it at that, and take a look at what I´ve checked. My first watch was an unnamed ZCG watch. All it gave for identification was „Smartwatch“. I got it at Groupon with a „50% discount“ (just to figure later that was the regular price it gets sold at on many places). By the specs and design, it´s very likely a ZGPax S29 or a clone of it. For about EUR 50, it´s quite affordable. It features a built-in GSM phone (2G), camera (1.3 MP), speakers & mike, takes a standard SIM and microSD card (max 32GB), supports multiple languages (a.o. English and German). Its 450 mAh battery usually needed a recharge much earlier than any of my phones – and the 240 x 240px 1.54” TFT LCD Display is used as touch-screen input device (sometimes a bit tricky, but works). Starts out-of-the-box without any „companion device“ connected – but can work with iOS and Android alike (the latter being better supported). Speaking of support: that was rather non-existent. I had several issues with this device: notifications of some apps were never shown; if I wanted incoming calls to be signaled I had to use the watch to talk (!!) with the other side on the speakers (!!) – plus the companion app gave me some headaches. Apart from never auto-connecting, there was that popup each time it was opened: „Whether downloading fundo? Fundo of the animals is a motion data stewards, watch movement data synchronization“ (see screenshot). Sounded pretty shady: why does that companion app advertize some „funny game“ each time I start it? Not to speak of the bad translation. I never received any reply from ZCG, and I tried it multiple times. Groupon just told me to contact ZCG. Only on pressure, Groupon agreed to notify ZCG of the need for communication – but all I´ve got then was „If you dont like it, send it back“ – addressing my issues with no single word. Yuck. I´ll never buy anything from them again, and can only advice you to do the same. 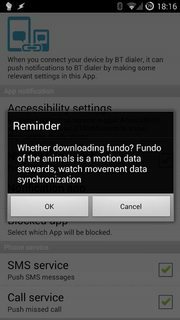 Doing some research later (I´ve never confirmed that popup), it seems it was really nothing but a very, very bad translation – and probably pointed at the Fundo Companion app for health data and improved notifications, or the FunDo SmartDevice app. Wasn´t important to me anymore, as I gave the watch away already. Like the BTNotification app,1 this app wants access to all kind of personal data (including calendar, contacts, call logs, accounts, phone state & identity) and of course to the Internet. Guess I don´t need to say more: that´s exactly what I was afraid of to start with, all my sensitive data potentially going to the cloud. No, thanks. Of course I´ve never tested the health functions with this watch (and I´ve even blocked its Internet permission straight away). It was a nice toy, could even remote-control my phone´s camera (when that worked – approximately on every 5th try). But as half of the features advertized did not (or only partly) work, and the battery gave up in the early evening already, it was of no use to me. I could have thought about using it as a „memory stick“ (with an SD card inserted, one just needs to connect an microUSB cable which is also used for charging, and it would provide the card as USB mass storage). But hey, an USB stick fits in my pocket as well. 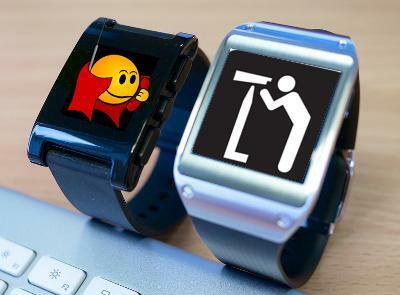 My next thought was: a crowd-founded watch like the Pebble might consider the end-user more. I didn´t want a simple Pebble, but the Pebble Time Steel. But first I wanted to know about my concerns – and thus contacted Pebble support by mail. Immediately got an auto-response, and a personal response within 24 hours. I was impressed. I was less impressed by the first part of the answer – which confirmed one cannot even activate the watch without using its companion app, which in turn requires a Pebble account on their website. And of course all your data is stored in their cloud. That was a show-stopper. But luckily it didn´t stop me from reading on: the Pebble employee further informed me there´s an open-source app available working completely offline, being compatible with all current Pebble watches and, in a limited way, could be used with the Pebble watch in daily life. So when the price for the Pebble Time Steel suddenly dropped by 20%, ending up below the EUR 200 margin, I could no longer resist – and ordered one. Which made me a big fan of Gadgetbridge and the crew behind it: they´re riding the same wave I do.2 Their app doesn´t request the Internet permission for privacy reasons, and it´s not intended to change that (though there are many issues filed at their Github presence asking for it, it´s always turned down: there might be an addon one day, but the main app will stay free of this permission. You can install Gadgetbrigde via F-Droid. 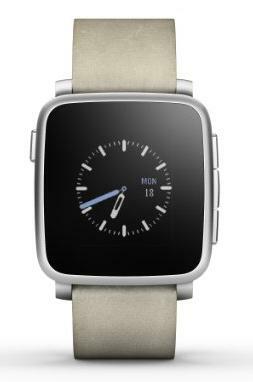 To initialize your Pebble, you will also need a firmware image, which can be downloaded from the Gadgetbridge Wiki. Copy that to your Android device, then pair your Pebble, and – from a file manager – chose to open the image file with the Gadgetbridge firmware installer. You will see your Pebble downloading the file, installing the firmware, reboot – and then you´re ready to play with your new Gadget.3 After adding the Pebble to Gadgetbridge, you can use the installer also to load Watchfaces. 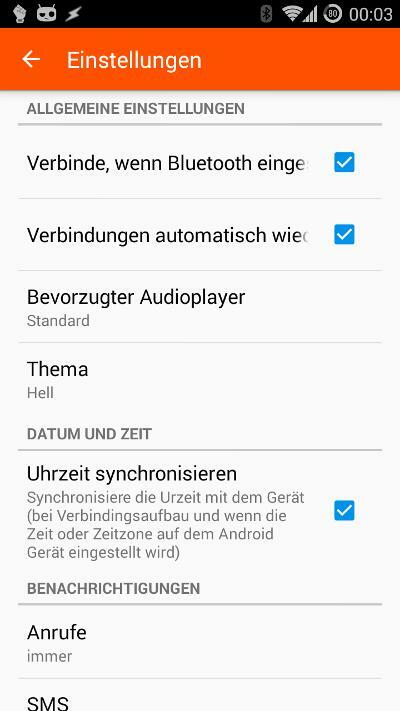 And of course Gadgetbridge itself to configure interactions with your Android device. Notifications simply work, including incoming calls. Gadgetbridge also takes care to sync the time. And auto-connects your Pebble whenever Bluetooth gets enabled, if you wish so. You even can control your favorite music player without taking your phone out of your pockets, and more. 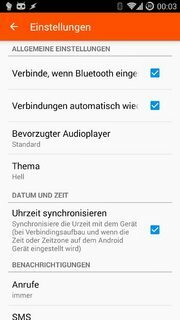 Every Android app without any permission at all will be able read your Addressbook and send 1000 premium SMS for 5€ each without you even notice if you have "Dialer for Pebble" installed, even if you do not own a Pebble at all and have neither Gadgetbridge nor the official pebble app installed. But nobody forces you to install such an app („Dialer for Pebble“ was just used as one example – it´s a cool app, and again not to be blamed for the underlying Android functionality). I´m quite happy with my Pebble Time Steel and Gadgetbridge, as it simply works – and look forward how Gadgetbridge develops. In its hidden settings I was even able to activate the Pebble´s health functionality – and now have details on how many steps I take per day, how well I slept, and how active I´ve been. Without having those data in the cloud.